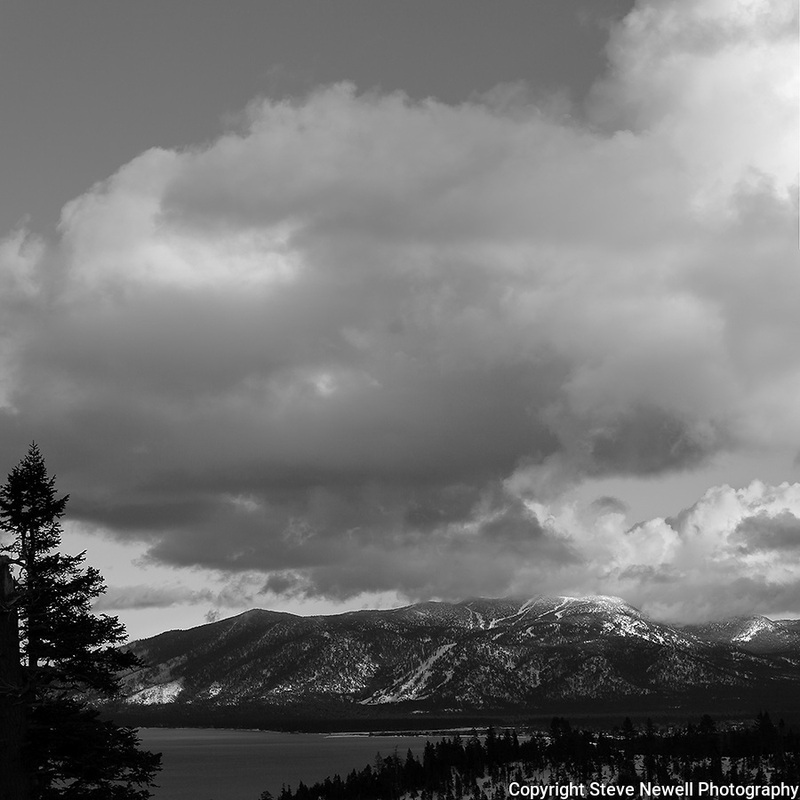 "Heavenly Tahoe" Black and White Heavenly Ski Resort, South Lake Tahoe. I captured this image during the month of January 2013. The clouds were enormous and kept changing every 10 minutes. I think I have 32GB of photos and video of this scene. South Lake Tahoe is one beautiful places to visit no matter what time of the year.